It’s been a crazy few months around here. Amongst other things I caught pneumonia and then ran away to Iceland on no sleep. In that order. Because I live alone quite a few people were concerned when I was ill about my welfare- I was offered a hospital admission (twice) but declined (I prefer to die at home wearing my own socks). My boss called me one night and offered to drop off groceries- I declined because I always have a fully stocked freezer and pantry with ingredients for tasty meals (neurosurgery registrar survival skills 101), plus I was due for a fresh drop of veggies from my delivery service. He offered to drop off milk, to which I replied, “I don’t drink cows milk, I make my own milk from almonds”. Unfazed, he then offered to drop off a bag of almonds. I am truly a weirdo. Forces creativity– sometimes you get some sort of strange fruit or vegetable that you’ve never seen before, and you have to eat it #becausepride. A month ago I received something that looked like a zucchini, but wasn’t a zucchini. I convinced myself it was an exotic Chinese winter melon, and agonised over traditional Chinese herbal soup recipes deciding how best to cook it. 1.5 weeks of indecisiveness later, I cut into it- turns out it was just a smooth skinned cucumber. Fail. I really wanted winter melon soup for some reason! 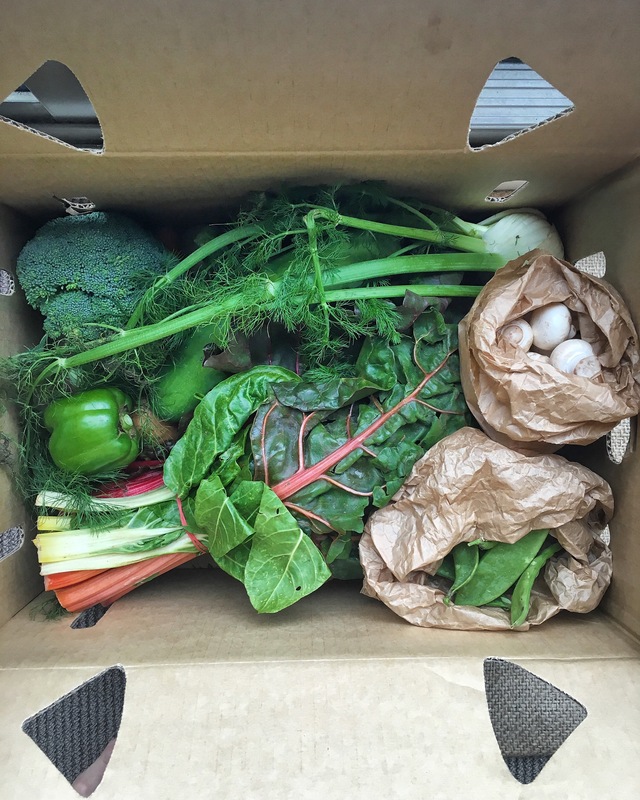 It’s fun– there really is something about taking home a cardboard box and opening it and getting really excited to find snow peas. A good reason as any to high five yourself. Their headquarters and farm are 15 mins away from me. They have an impressive bulk store on site- like I said- live your values and align yourselves with businesses who think just like you do. Vote with your dollars for the kind of world you want your kids to grow up in.